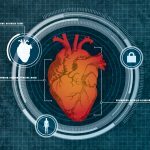 Researchers are taking biometric authentication to the next level, so forget the fingerprint reader, soon you might be logging in with your heart. When we think of new ways of ensuring our individual security or of proving our identity, we usually think of finger prints, iris scans and facial recognition. A team from the University at Buffalo believe that our heart can provide an equally fail-safe way of identifying us. The work, which is documented in a recent paper, proposes to use low-level Doppler radar to measure the dimensions of your heart. It then continually monitors this to ensure no one is trying to steal your identity. The team believes their work offers a safe and potentially effective alternative to existing identifiers, including both passwords and biometric methods. They believe it could potentially be used in airports, and even to gain access to your smartphone. "We would like to use it for every computer because everyone needs privacy," the authors say. "Logging-in and logging-out are tedious." The system uses a radar that is much weaker in terms of signal strength than that used by Wi-Fi, therefore doesn't pose a threat to our health. It's around 5 milliwatts, which works out at less than 1% of the radiation emitted by our smartphones. The process of scanning your heart for the first time takes approximately 8 seconds, after which it continuously monitors you. It uses the geometry of your heart, including its shape, size, and movements to identify you incredibly accurately. "No two people with identical hearts have ever been found, and people's hearts do not change shape, unless they suffer from serious heart disease," the authors say. Whilst it sounds like the height of science fiction, it's a technology that has been in use for around a decade, mostly in the measurement of electrocardiogram signals. The researchers believe that they're the first to have developed a non-contact, remote device to measure the hearts' geometry for the purposes of identification, however. They believe their system trumps existing biometric methods for a number of reasons. For instance, it's non-contact so it reduces the hassle involved in proving our identity whenever we need to. It also provides continuous monitoring, so it removes any issues we might face if we forget to log-off of a device, as it simply won't work without the right person in front of it. The team hopes to miniaturize the system and eventually install it in the corners of computer keyboards. They're also keen to experiment with an installation on smartphones and also in airports. It's a fascinating project and worth following with interest.